At Vision 3C Specialists, our staff is friendly, professional and bilingual! Our commitment is to provide exceptional customer service to all of our patients. 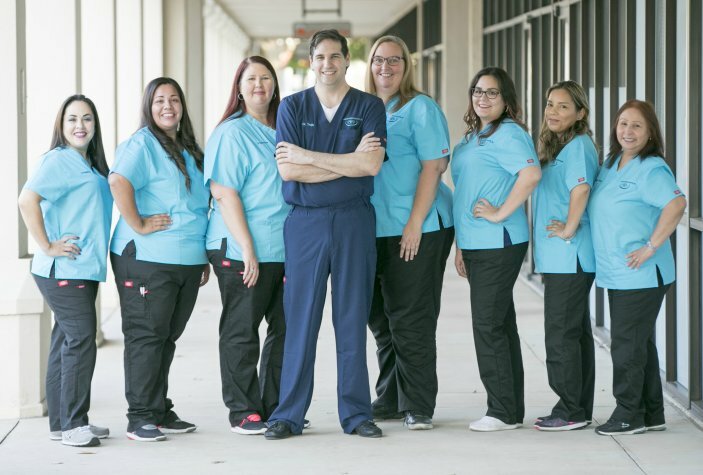 We take pride in our personalized care and strive to spend the necessary time with each patient to ensure a comfortable experience. Our ophthalmology professionals are passionate about providing high-quality care to our family of patients. We focus on providing comprehensive medical eye exams, a safe and secure eye surgery experience, and compassionate vision care. Come in today to meet our staff and make an appointment. 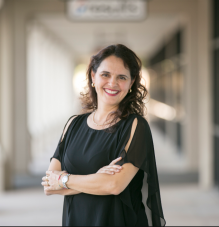 As an engineer, Lina brings her experience in process improvement, customer focus and leadership to our practice. Her primary goals with Vision 3C Specialists is patients and staff satisfaction. She creates an environment in which patients and staff feel valued, heard and satisfied with their work or visit to the practice. It is building a place where staff and patients feel that Vision 3C Specialists cares for them. Lina loves spending time with her family and friends. She enjoys learning new things, cooking, gardening and reading books. Sarah has more than 8 years of experience and is our Billing Supervisor. She is planning to do her Ophthalmic Coding Specialists (OCS) to better serve our patient in our billing department. One of the things she enjoys then most is working with her friendly staff and doctor. Sarah has two children who she loves watching grow up. In her spare time, you can find her taking her kids to learn ice skating and ice hockey. 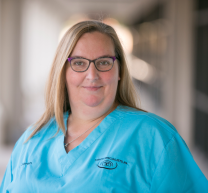 As our LASIK and contact lens coordinator, Laura has been fitting contacts and scheduling LASIK and PRK surgeries for our patients at Vision 3C Specialists. She received her Medical Office Specialist in 2003 and later she got her Certified Ophthalmic Assistant (COA). Laura has been on our team for four years and enjoys the friendly atmosphere and staff. 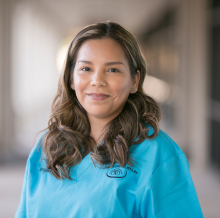 She plans to be certified as a National Contact Examiner; in addition, she is studying to be a Certified Ophthalmic Technician (COT) to better assist our patient’s needs. As a busy mom, she enjoys hanging out with her family as much as she can, and is always on-the-go taking her kids to their sporting events. 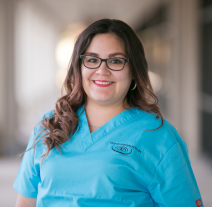 Alejandra joined our team to scribe for Dr. Trujillo and received her Ophthalmic Scribe Certified (OSC) to better serve the needs of the practice. One of the things she enjoys about working at Vision 3C Specialists is the family feeling and that everyone can count on each other. Beyond the office, Alejandra is a mother of two small children and enjoys spending time with them and learning new things. As our front desk check out, Elida makes sure all our patients feel welcomed and leave satisfied. 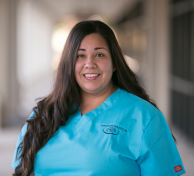 She studied Medical Office Specialist in 2003 and is in charge of confirming patient appointments, preparing charts for incoming patients, collecting payments and scheduling future appointments. 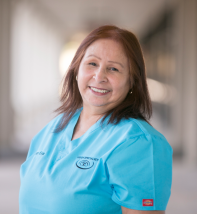 Elida enjoys the friendly environment and team work in Vision 3C Specialists. Outside of work she enjoys doing Zumba, and you can find her having fun with her kids, watching movies and playing games. Mary brings her experience in the medical field for over 10 years. Mary greets and meets each of our wonderful patients as they walk into the office. She works hard to make each patient feel comfortable as they arrive and she processes their information, prepares their patient charts, verifies their insurance and benefits and calls to remind patients of their next appointment. Outside of the office, Mary loves spending time with her family.